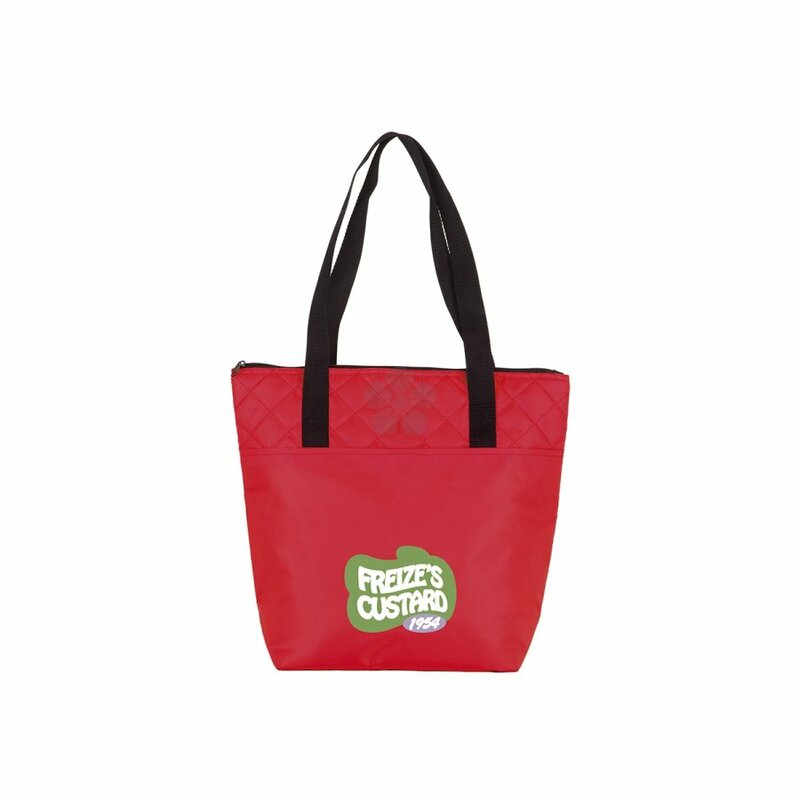 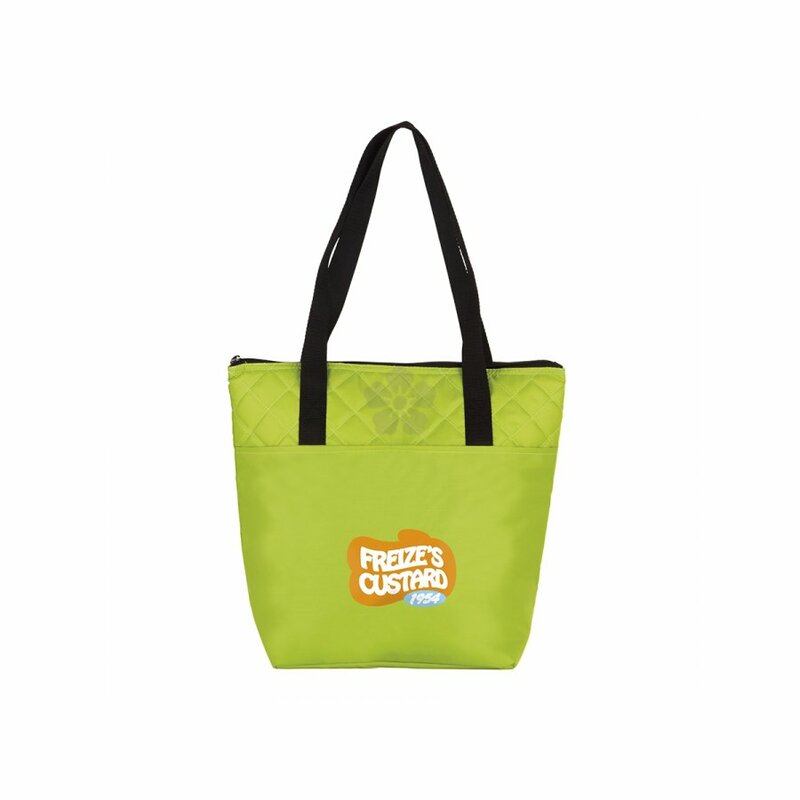 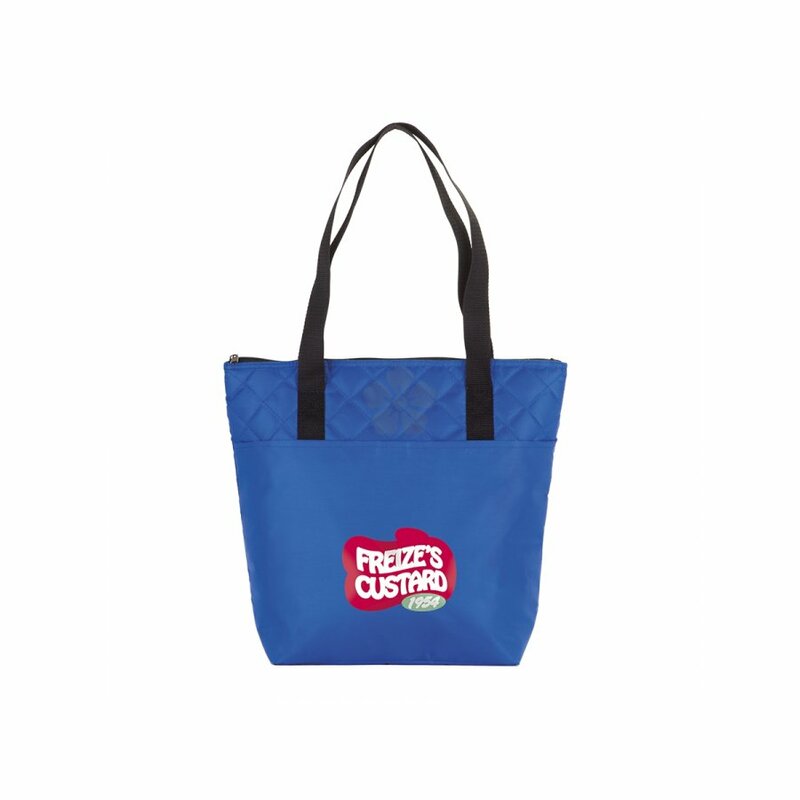 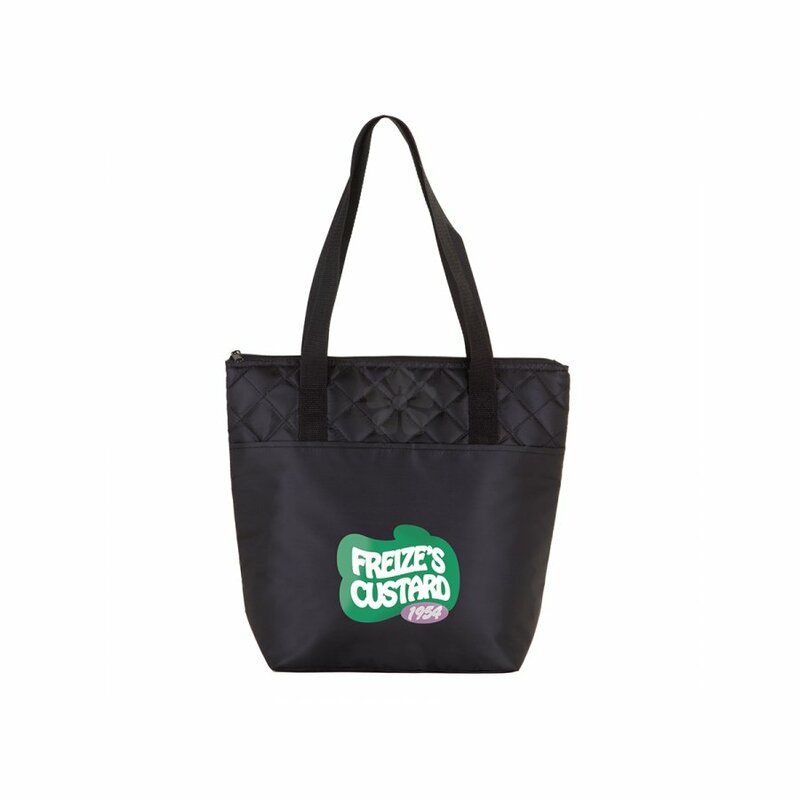 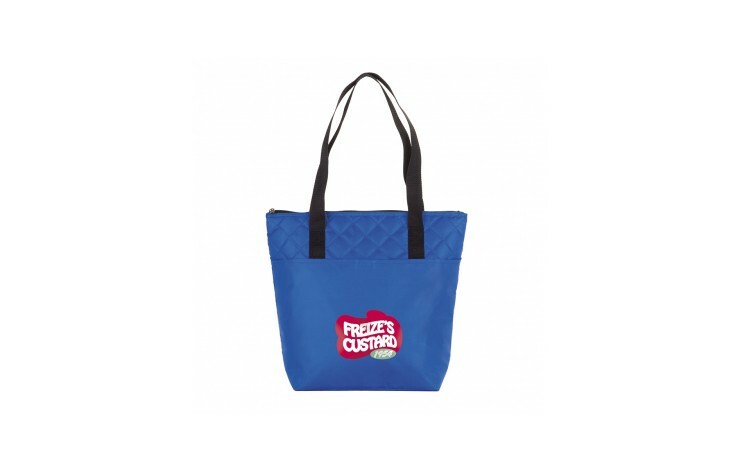 Keep your drinks and lunch cool and fresh with our custom printed Cooler Tote Bag. 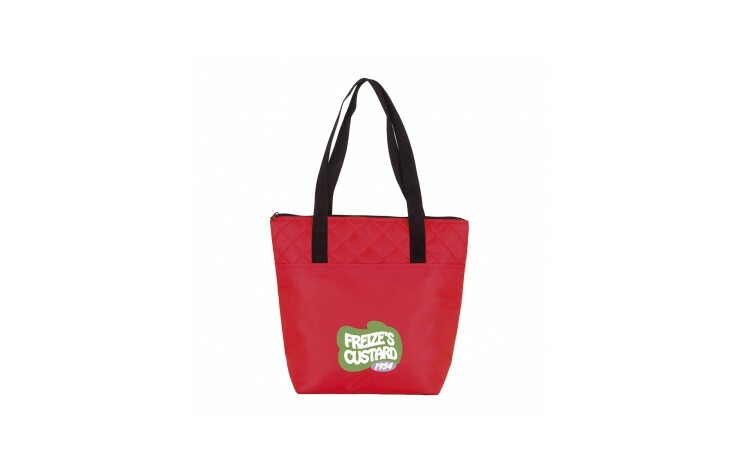 With a spacious capacity, this glossy grocery sized cooler tote bag, made from 420D polyester, has a zippered main compartment along with an additional front pocket and shoulder-length handles, making this ideal for taking down to the supermarket or packing up with a picnic! 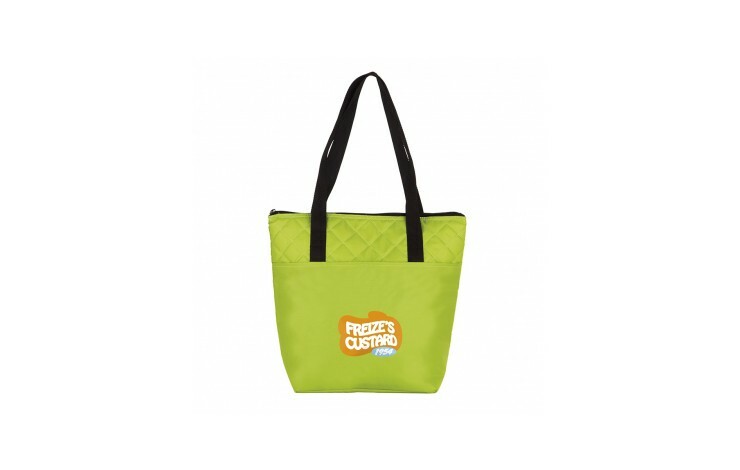 Available in 4 striking colours, we are able to print your design in up to full colour POA within the spacious branding area on the front pocket.